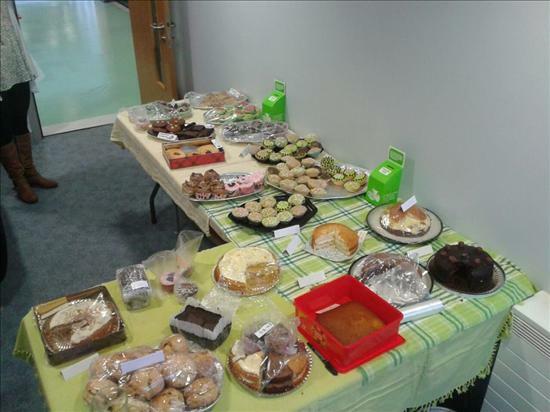 A coffee morning was organised in aid of Macmillan Cancer. The practice sold cakes/cupcakes and raised £121.33	. Thank you to all health centre staff and patients for their support. A fun day was organised to help the flood victims in Pakistan	. The venue was kindly donated by ACE Centre, Nelson and a total of £2,500 was raised. Thank you to all the local public and businesses who donated towards this worthy cause. The practice raised £111 and encouraged people to eat healthily. 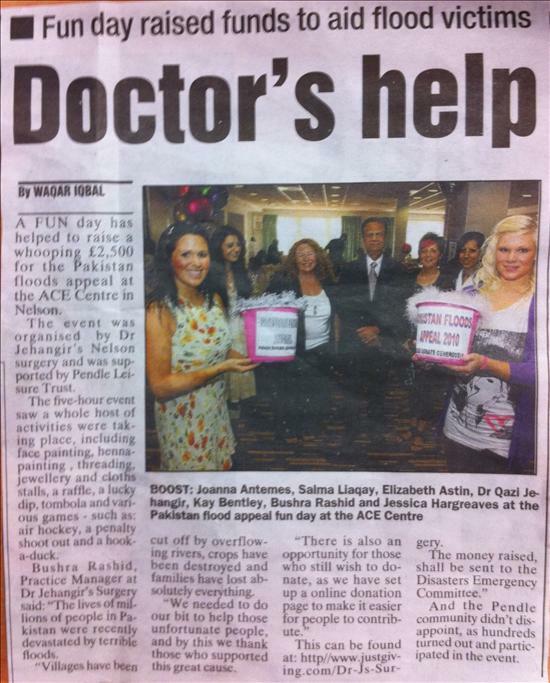 All the practice team dressed in pink items and managed to raise a total sum of £900. This year a 'lucky dip' was organised. Prizes for the raffle were kindly donated by local organisations ie Argos, Morrisons, Tesco, Sainsburys, Marks & Spencers, AK Computers, Meal Vouchers from approximately 15 restaurants etc. Food was donated by: Mansha, Al-Niamat, Oddies and Greggs. 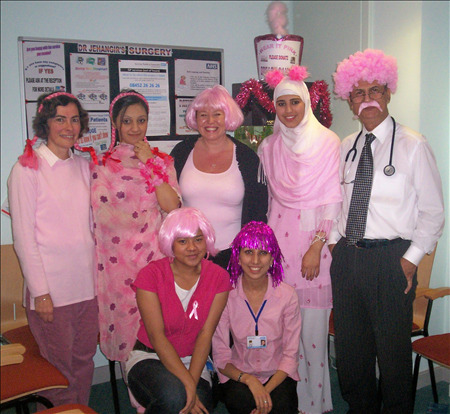 All the practice team dressed in pink items and managed to raise a total sum of £550. This year a raffle was organised as well. Prizes for the raffle were kindly donated by local organisations ie Argos, Morrisons, Tesco, Marks & Spencers, AK Computers, Meal Vouchers from approximately 10 restaurants etc. Food was donated by: Mansha, Al-Niamat, Oddies and Greggs. 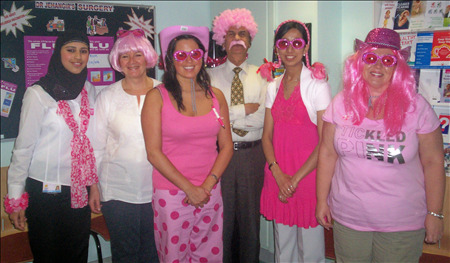 All the practice team dressed in pink items and managed to raise a total sum of £150.